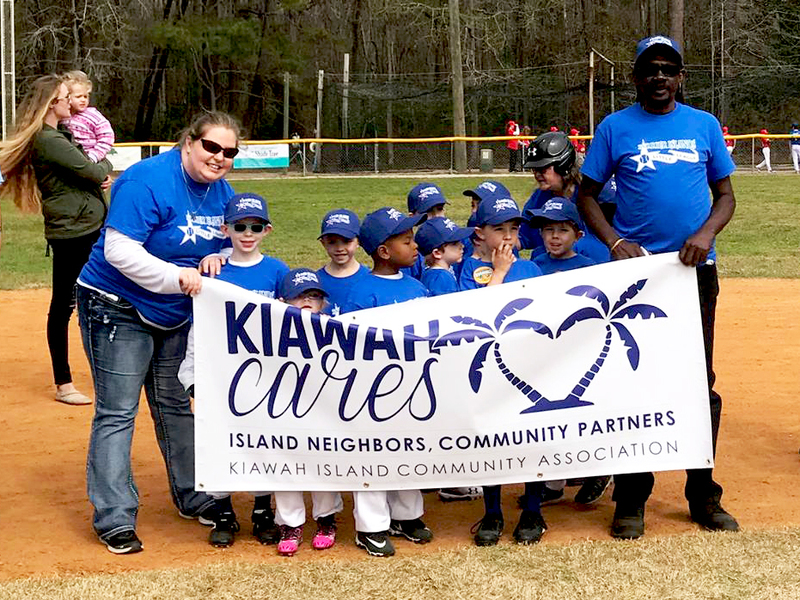 Kiawah Cares is sponsoring two little league teams in 2019. (Photo courtesy of the Barrier Islands Little League). The Kiawah Cares Foundation’s first annual Humanitarian Aid Fundraising Campaign generated just over $100,000 in donations to fund a variety of powerful programs addressing hunger, housing and wellness for the young and old on the Sea Islands in 2019. Kiawah Cares is partnering with Going Places to give away 135 bicycles in 2019. (Photo courtesy of Going Places). This campaign was a comprehensive effort to address a wide range of needs on neighboring Johns and Wadmalaw islands. The goal was to raise $60,000 in six weeks, between the campaign’s launch on Giving Tuesday (Nov. 27) through the end of 2018. The $60,000 would fund a set of foundational Sea Islands humanitarian efforts, as well as provide some additional resources to mobilize quickly when worthy needs require immediate support. “Donations came in so rapidly in the last week of December, that we didn’t realize how dramatically this campaign would surpass our goal,” exclaimed Newman. When the campaign concluded, donations amounted to a total of $104,000. Kiawah Cares will be able to continue funding programs like Meals on Wheels (reducing hunger and supporting seniors), the Community Home Improvement Project (providing home repair to those in need), Made with Love (bringing comfort to veterans, students and seniors), the Barrier Islands Little League and Going Places (promoting recreational opportunities for youth). The foundation is also well positioned to support new urgent needs and emerging initiatives. For the Barrier Islands Little League, Kiawah Cares will sponsor two teams, the Kiawah Bobcats. The mission of the league is to impart the ideals of good sportsmanship, honesty, loyalty, courage and respect, so that children may retain those ideals and become stronger mentally and physically. This sponsorship will give 16 children the chance to absorb the solid ideals that Little League conveys, which places them on a path for future successes. Kiawah Cares is committed to supporting their future expansion, and will fund the replacement of equipment that was recently stolen. The Community Home Improvement Project (CHIP) coordinates critical home repairs for Sea Islands residents in need. CHIP works with sister organization Next Steps, to identify those in need and Kiawah Cares will provide substantial funds for CHIP to purchase materials for repairs. Often homes have been damaged by storms, or age has created significant livability issues. Going Places’ mission is to provide disadvantaged kids with their most basic childhood right: joy! Katie Bloomquist, founder and executive director, wishes to provide a bicycle to children in all Charleston area Title 1 elementary schools. Bicycles give children a sense of freedom and in many cases, self-worth, as the bike may be the first item of value a child can call their own. 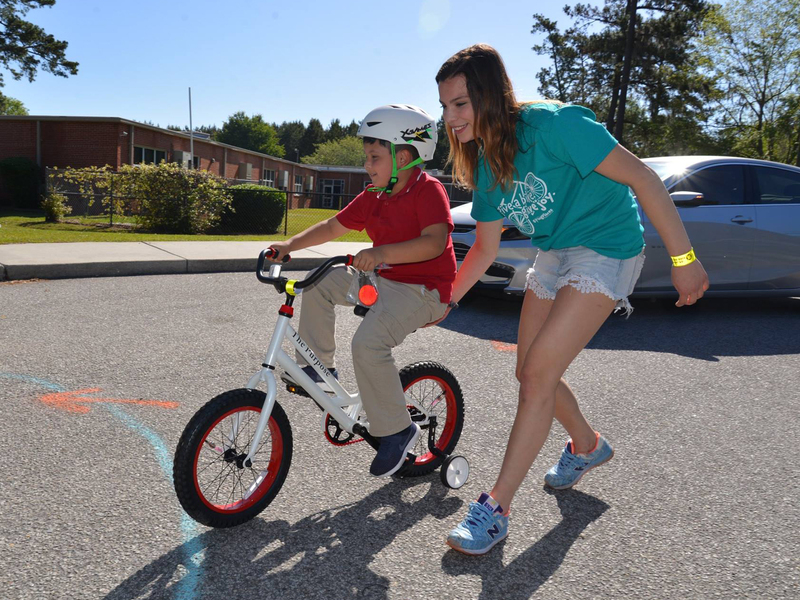 Kiawah Cares has the exciting opportunity to fund a donation of 135 bicycles to be given to every student at Frierson Elementary School on Wadmalaw Island. This massive surprise giveaway is slated for May. Kiawah Cares helps fund daily meals for seniors through Meals on Wheels. Meals on Wheels currently serves daily meals to 38 seniors on the Sea Islands and the number is climbing. Finally, Kiawah Cares will continue to support a special group of local crafters, known as Made with Love. This group works tirelessly making hundreds of handmade goods and tied fleece blankets, that not only provide comfort but essential warmth, to give to students, teachers, families, and pet rescues. Special gifts are shared with Meals on Wheels and Respite Care during the holidays, and with veterans on Veterans Day to show gratitude for their service. In the spirit of sharing their crafts, and passing on the act of caring and giving with the younger generation, the group has hosted workshops with students from both Charleston Collegiate and Haut Gap Middle School.